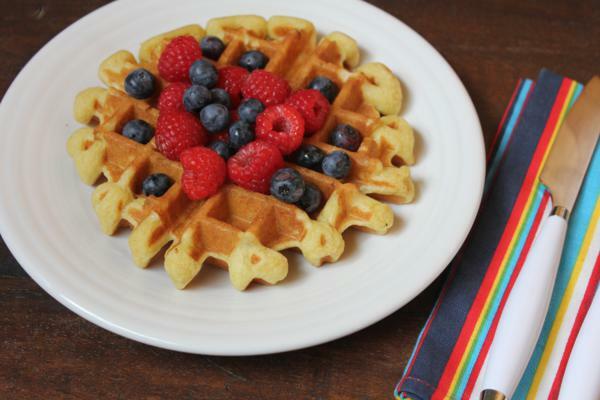 Dairy free waffles can be light and fluffy! Yes they can! Besides mentioning it a few times over the last year and a half, I have not written a lot about my daughter eating dairy free. It is not because I didn’t want to post about it. I just don’t think a lot about it and I don’t cook a lot of special recipes. When I make casseroles or things like homemade pizza I just leave the cheese off a section for her to eat. For many baked goods and breakfast recipes she just makes her own and freezes it for when she needs it. My daughter actually does the majority of the dairy free baking at our house and she is really learning what does and doesn’t work. I also have not posted about it because she is not 100% dairy free. She is more like 90% or 95% dairy free. Butter doesn’t seem to bother her as long as it is in baked goods. I am not sure if it is the butter in general that does not bother her or the fact that a stick of butter in a cake or batch of cookies is really not that and is not enough to make her feel bad. Overall we have been able to adapt many recipes to dairy free without any problems. One of the ones that we have struggled with though is waffles. The texture was just not right. 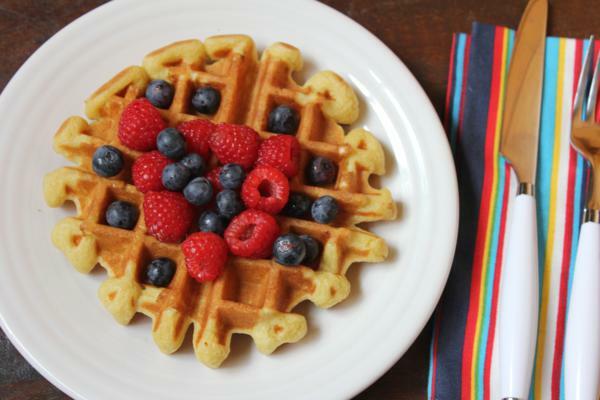 We wanted a light and fluffy waffle and we have had a hard time getting one just right. Over the years I have made quite a few waffle recipes with yeast in them. The yeast helps them rise a little bit and gives them great texture. I thought a yeast recipe might have potential for adapting to dairy free because the yeast helps make them light. And I was right. With a little work the dairy free waffles using yeast turned out great! With a little extra work and tweaking I was also able turn them into a light and fluffy dairy free gluten free waffle. So if you are dairy free and gluten free be sure to check the recipe out for my dairy free gluten free waffles that I shared in my allergy section. Now, this is not a quick recipe. It is quick to mix up, but the batter does have to set for awhile to help let the yeast rise, so plan ahead for that. 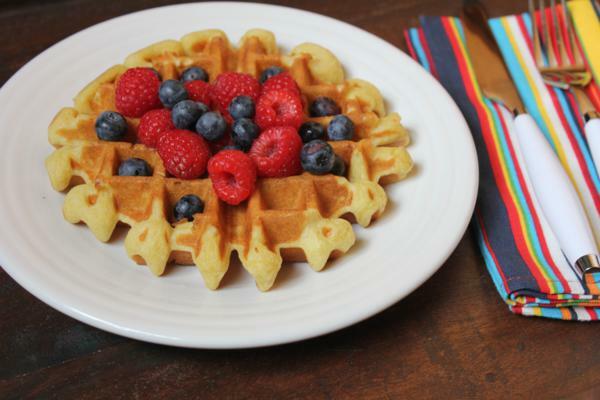 These dairy free waffles are light and fluffy and just the right texture! These are the BEST waffles ever!! Our son is allergic to dairy so we have made many dairy-free recipes and this is the absolute best- thank you so much for posting!! I am so glad you enjoyed them! I love helping people find new favorites because I know how hard it can be when you deal with food allergies. Thank you for letting me know how much he enjoyed these. This are perfect! My son has a dairy allergy and I’ve tried so many different dairy free waffles (too many too count) but they were never quite right (too pale, too dry, too soggy, etc). These were crisp on the outside and soft and fluffy on the inside. I used rice milk and coconut oil instead because that’s what I had on hand. My older two kids, who do not have food allergies, said that they were best waffles they ever had. I agree! Thank you for sharing this recipe. I am so glad that your family enjoyed them! I love sharing recipes that are allergy friendly, that the whole family can enjoy. So thank you so much for taking the time to let me know that you enjoyed them! For how many people is the dairy-free waffle recipe intended. Need to know quickly, as I need to make them tomorrow morning for a sleep-over party with 12 girls. It serves about 6. I have a family of five, but three are teenagers and we eat most of the recipe. So I would say it serves 5-6 people depending on what you serve it with. 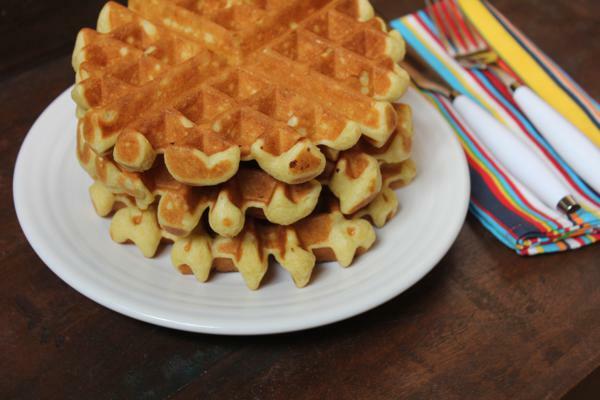 The amount of waffles that it makes will vary on the size of your waffle maker. For 12 girls I would probably double it if you are serving other things like fruit, etc. 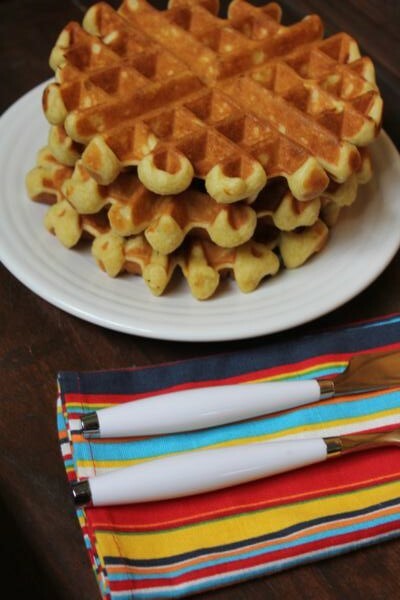 If you are serving just waffles you might want to triple it. I hope that helps. The yeast you use is just the dry yeast kind. I hope that you enjoy them!